Do you represent a Nebraska State Government Agency and wondering how you should archive all your web and social media content? Are you trying to determine what you need to do both from a legal and a technical point of view? Here’s a guide to the different Laws and processes you should follow. 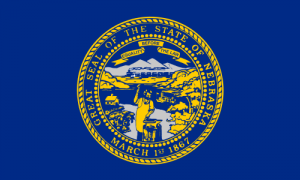 What Laws govern Records Management in the State of Nebraska? Do Nebraska State Records Laws include Website and Social Media content? Neb. Rev. Stat. § 84-712.01(1) provides that the term “public records” shall include “all records and documents, regardless of physical form”, and though not explicitly stated, presumably include electronic, social media and online records, unless any other statute expressly provides that particular records shall not be made public. Note: Data which is a public record in its original form shall remain a public record when maintained in computer files. A party requesting access to open records may designate any form in which the public record is maintained or produced, including, electronic data. Neb. Rev. Stat. § 84-712(3)(a). However, the agency need not produce or generate any record in a new or different form or format modified from the original form or format of the public record. Neb. Rev. Stat. § 84-712(3)(c). Also, persons may request copies only if the custodian has copying equipment reasonably available. How can we transfer website archives made with PageFreezer to the Nebraska State Digital Archives? PageFreezer exports all data on request in the original file format including the required metadata. This data set can be transferred by FTP or by other means to the Nebraska State or Agency Digital Archives.